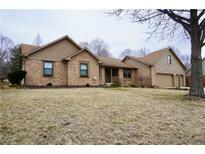 Below you can view all the homes for sale in the Valley Ridge Farms subdivision located in Indianapolis Indiana. Listings in Valley Ridge Farms are updated daily from data we receive from the Indianapolis multiple listing service. To learn more about any of these homes or to receive custom notifications when a new property is listed for sale in Valley Ridge Farms, give us a call at 317-973-0966. You will love the back yard with a in ground Kayak pool, newly painted deck & plenty of space for all you entertaining needs. MLS#21627499. F.C. Tucker Company. New in 2017 Furnace, water heater, softener! MLS#21626124. Keller Williams Indy Metro S.
There is a Work Shop/Office off the back of the Garage with a service door to the backyard~Attic stairs in garage for extra storage space and the Garage is finished with a ton of cabinets for additional storage! 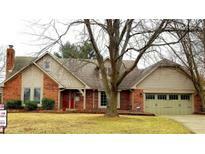 MLS#21622662. Wall and Associates.